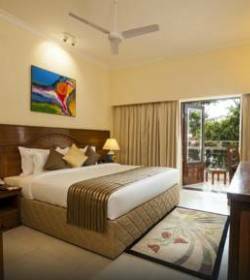 Boasting refined accommodation, a relaxing spa, exquisite on-site dining and a convenient location just 500 metres from Candolim Beach, the Radisson Goa Candolim is an unbeatable hotel choice for your vacation. 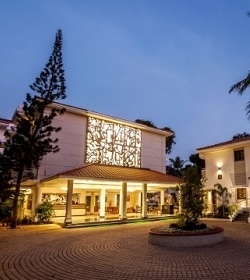 Situated only three kilometres from the famous Calangute beach and in proximity to National Highway 17, the Radisson makes it easy to explore the numerous attractions surrounding Candolim, North Goa. Take advantage of our hotel's proximity to area highlights including the historic Fort Aguada, the ancient churches of Old Goa and excellent shopping in Panjim. With amenities like complimentary Wi-Fi, a mini gymnasium, conferencing facilities, an outdoor swimming pool, spa and even a salon, the Radisson Goa Candolim has everything you need to enjoy an unforgettable stay in one of the region's top leisure destinations. The Radisson Goa Candolim features 78 beautifully furnished hotel rooms, two inviting restaurants with bars and convenient services like complimentary Wi-Fi, a spa and a gymnasium. Accommodation for 03 nights / 04 days for a couple. Transfers to & from Airport and Karmali / Thivim Railway station by A/C Coach. Complimentary Hi-Tea in the evening between 1600 hrs to 1800 hrs. Happy hours at the bar between 6pm to 8pm. 30% discount on SPA therapies. Free entry to Grand 7 Casino once during the stay. Daily activities for adults and children organised by Animation Team. Airfare / Train fare to & fro. Entrance/camera fees, Guide charges if any, during sightseeing tours.